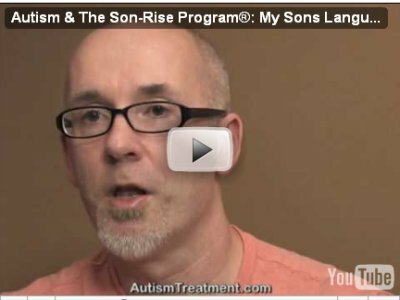 Autism & The Son-Rise Program®: My Sons Language, Affection, & Eye Contact Explodes! Tim's son, Griffin, regressed into his own world when he was two years old. He was diagnosed with Autism PDD with severe sensory integration issues. He didnt speak, he didnt interact. He was hyperactive and spent his days in self-stimulating behaviors. He had frequent tantrums and when his parents took him out he would bolt. Tim and his wife were completely exhausted and stressed. The whole family was growing more and more isolated from the world. Then they learned about a relationship-based, parent-run autism treatment program - The Son-Rise Program at the Autism Treatment Center of America™, co-founded by Barry Neil Kaufman (Bears) and Samahria Lyte Kaufman. Only four months after implementing The Son-Rise Program with Griffin, he is completely different child! He is affectionate, flexible, able to sit quietly for a meal, speaking in sentences, reading books aloud, and so much more. Listen to his father, Tim, talk about their amazing journey.